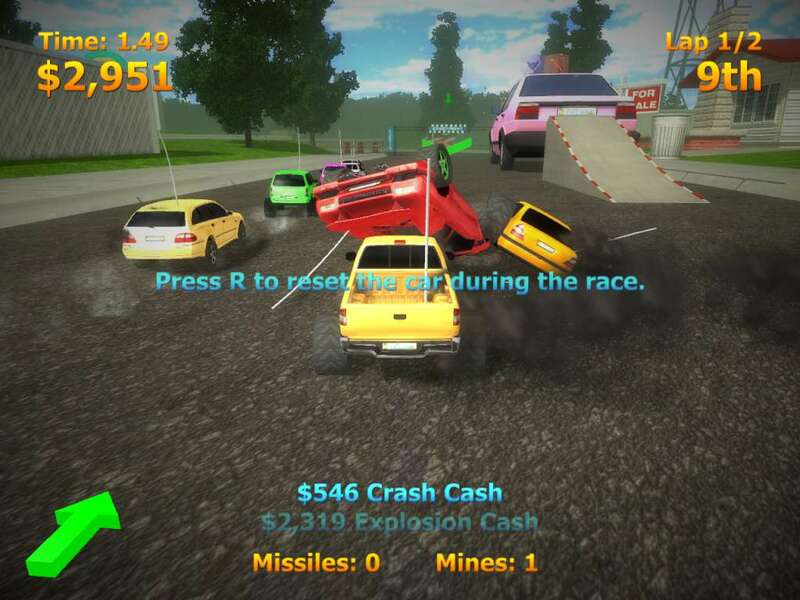 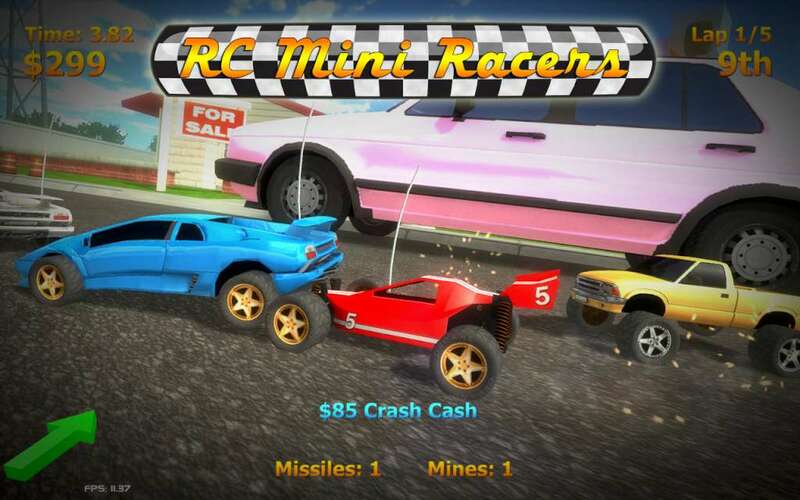 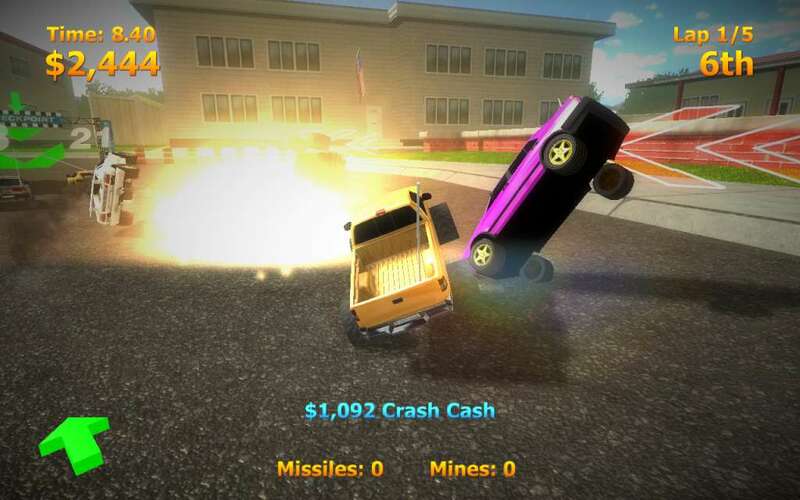 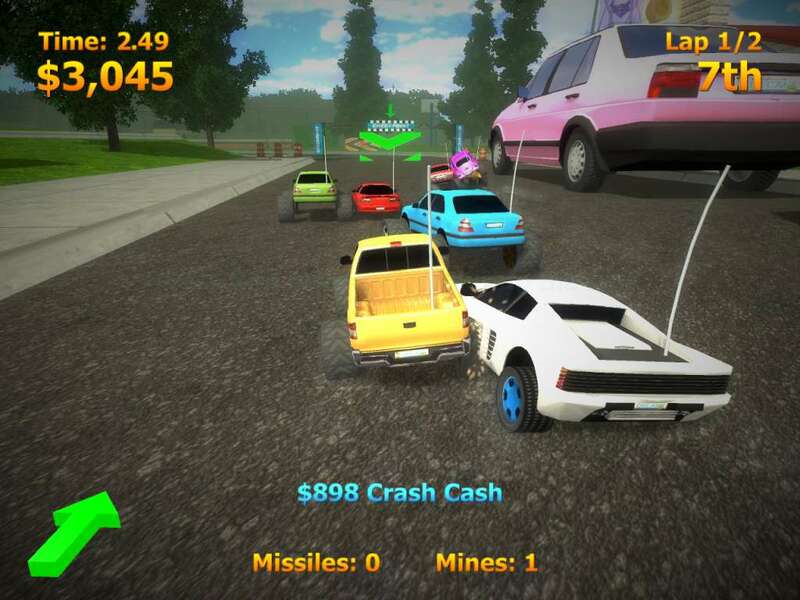 RC Mini Racers is a fast paced and explosive racing game with 25 remote controlled mini cars, lots of missiles and mines, turbos for an extra boost as well as great hard rock music. 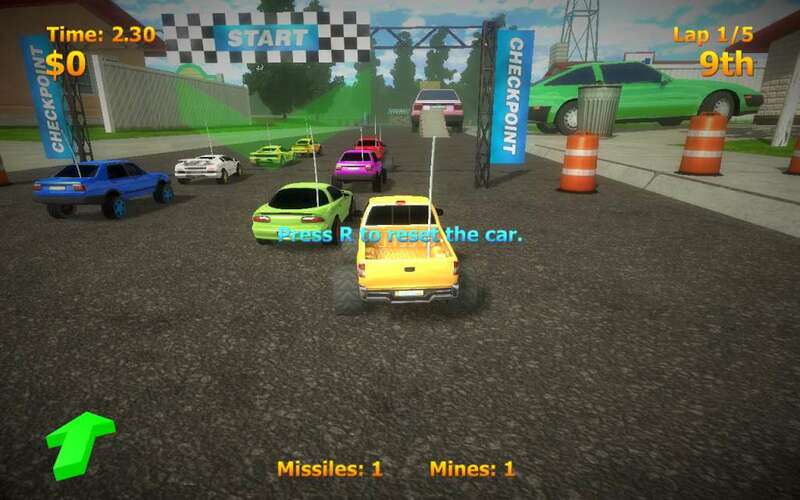 3 cars are free and another 20 cars can be unlocked within the game. 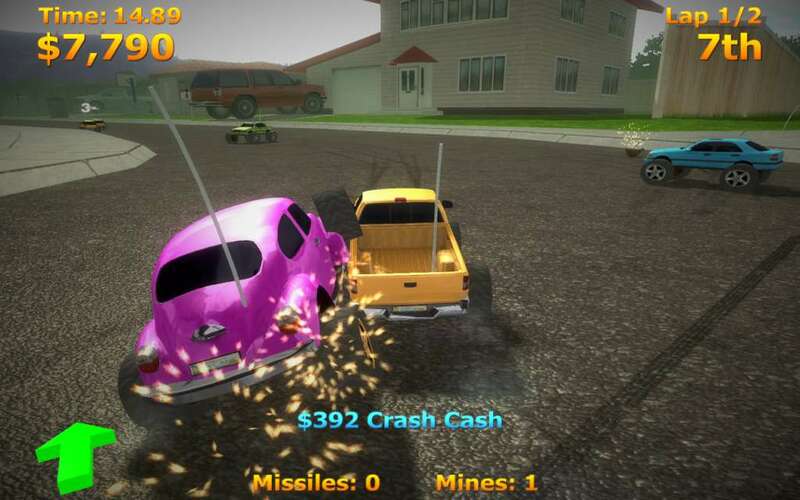 The car pimp shop lets you customize you RC car by changing the color, the wheels and the antenna.